Hiroshi and Misae have never been to a honeymoon trip to a foreign country. One day, Misae discovered an inexpensive and family-friendly holiday package to Australia and the Nohara family decided to make it their first honeymoon vacation. Hiroshi gets kidnapped upon arrival to Australia, leaving Shinnosuke, Misae and others on a dangerous journey. It turns out that Hiroshi is the key to a secret treasure. The remaining members of the Nohara Family must rescue Hiroshi, while a mysterious masked man and treasure hunters from all over the world are after him. The struggle is among three different groups in this action-filled treasure hunting adventure. 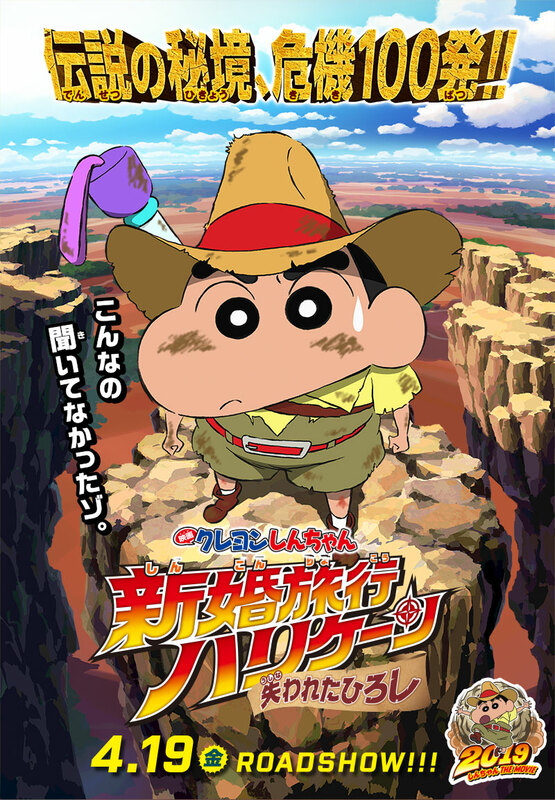 The plot is slightly similar to the 1994 movie Crayon Shin-chan: The Hidden Treasure of the Buri Buri Kingdom, including the concepts of "cheap foreign trip", "getting kidnapped and chased", and "key to treasure". In that movie, Misae had won a holiday package to Buri Buri Kingdom, Shinnosuke who gets kidnapped was the key to the secret treasure of that kingdom, and the family was chased by treasure hunters.